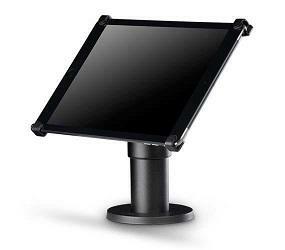 Point-of-Sale Tablet Mounts for stability when using terminals at your pop-up shop. We offer a range of models that allow you to easily provide operation of your tablet, terminal or iPad. Easy to carry and setup quickly. New patent design double synchronous automatic locking clamp. Flexible arm for different angle and distance. 360 degree rotary design. Fully adjustable and allows you to get that perfect viewing angle from your tablet holder. Viewing angle is fully adjustable.